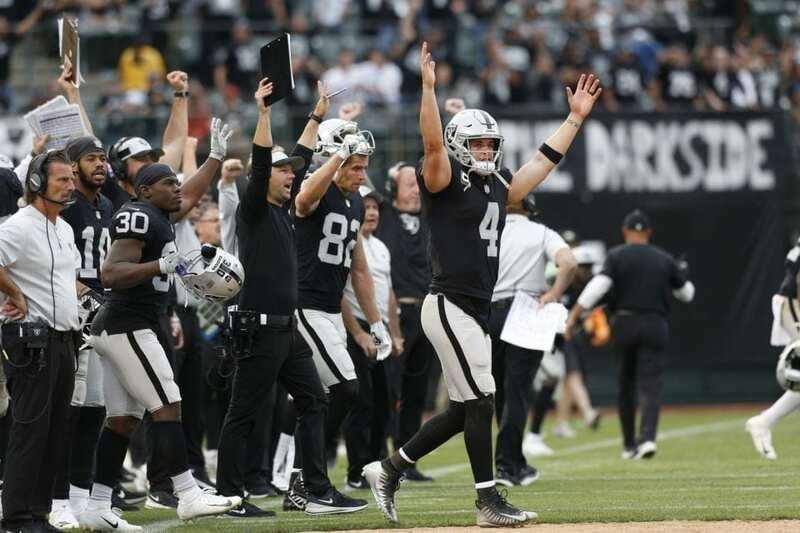 Excuse the Thursday morning edition of the Monday Morning Observations — the Oakland Raiders won on Sunday and I’m not really sure I was prepared to handle that. Regardless, here we are: the Raiders are 1-3 and the 2018 NFL season is inching towards the removal of life support thanks to Sunday’s 45-42 overtime win of the Browns. Say what you want about Gruden as a talent evaluator and general manager, but the Raiders offense has been explosive this season thanks to his schemes. If not for a Derek Carr underthrow to Jordy Nelson early and a Martavis Bryant drop late, the offense may have looked even better — but the point remains: offense will not be the issue this season. There were times when watching this unit play was painful, to be honest. The linebackers and safeties have to be among the league’s worst — and it showed throughout the game. To be fair, the defense did get some stops in the second half and overtime (and finally forced some turnovers), but there needs to be improvement for Oakland’s season to stay on the right track. The former first round draft pick has gotten all sorts of time to recover from injuries, etc. and it’s time for him to start playing like the player he was drafted to be. On Sunday, he got a pick-six early in the game, but beyond that, the play was inconsistent. He’s still young so there’s still time, but when I say Oakland’s defense needs some help, Conley is the first player I’m looking at. Is it possible that Marshawn Lynch is one of the best five running backs in football right now? While his role in the passing game is basically non-existent, as far as a player running the football I’m not sure there are many folks ahead of him (he’s currently fourth in the league in rushing yards). He’s also established himself as the heart and soul of this team and so seeing him bust through tackles and earn extra yards gave the team a big lift on Sunday. Hard to judge undrafted rookie Matthew McCrane when he’s kicking off the dirt and yet, that’s the reality of being a Raiders kicker. The good news? He made the one that counted to finish the game and didn’t miss any extra points. All in all, I think McCrane earned himself another week in Oakland and who knows, with no real definitive long-term plan at kicker in place, maybe McCrane takes advantage of this opportunity.